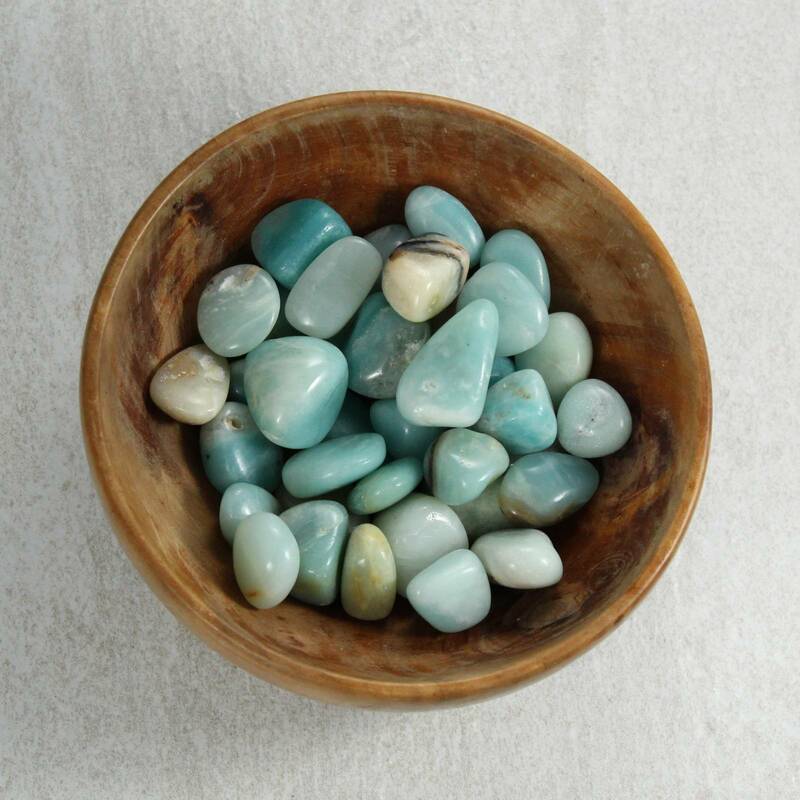 Lovely green tumbled Amazonite pieces! 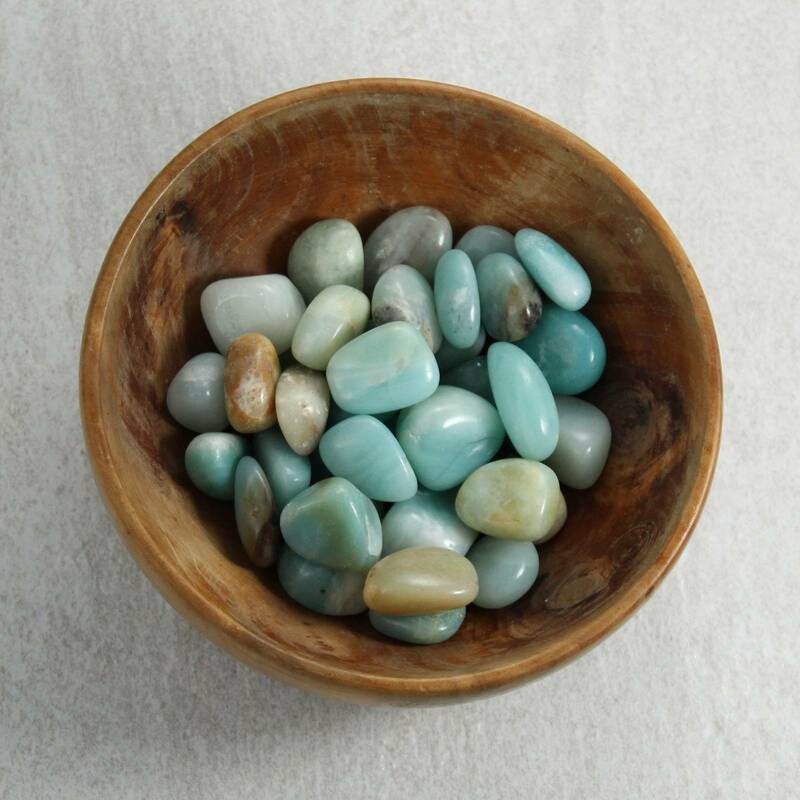 Gorgeous tumbled Amazonite pieces available in a few sizes – from extra small pieces to some larger ones. The more you buy, the cheaper they get – up to a point, of course! These stones make a great decorative piece, especially as fish tank or aquarium gravel. They may be suited to display in a bowl or a small vase as well. 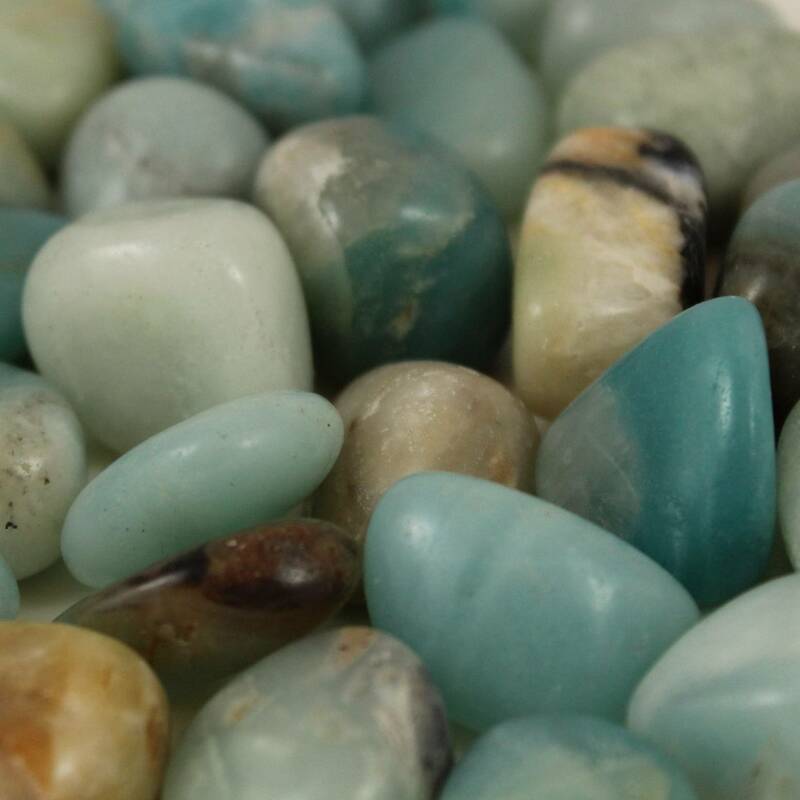 As green stones, they do contrast well with black and white stones, as well some other colours. 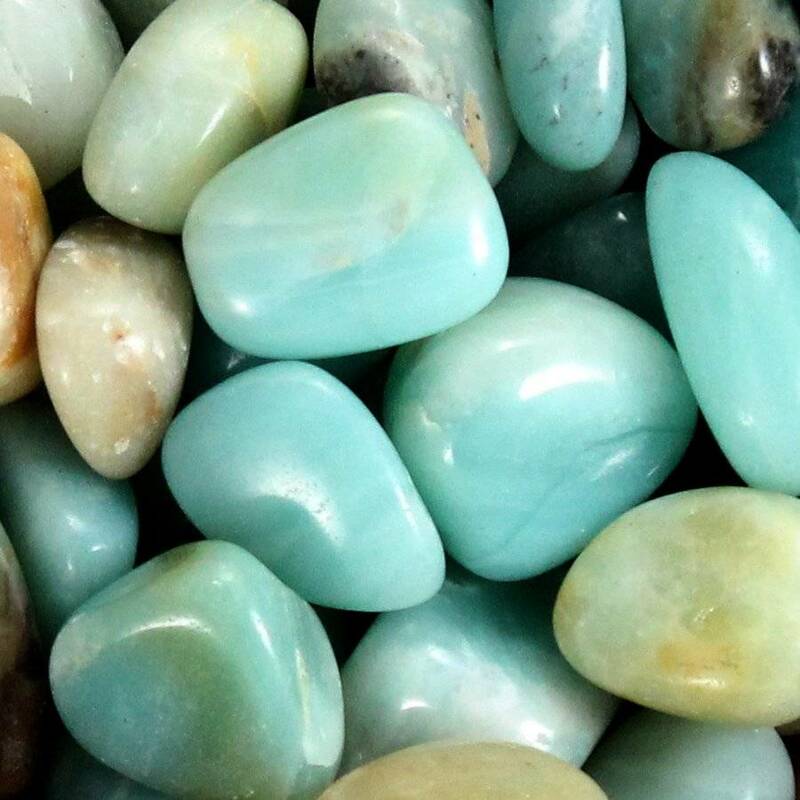 For more information about Amazonite – including information on the mineral itself, and a list of our products, check our ‘Amazonite’ page.